Flourish MMJ business with an online solution like Cannabis POS Software. Whether you are a well-established Cannabis business or entrepreneur willing to jump into Cannabis business with an online approach, our smartly design Marijuana POS Software is an all-in-one solution for all the business and delivery tasks of Cannabis. The real-time tracking facility is the ultimate, most popular and widely used feature enjoyed by each user of CBD POS Software. Get the software and the business would be handed seamlessly and smoothly like never before with the help of integrated online features for the ease of Cannabis delivery business. Small startups can get Cannabis POS Software and enjoy the quick business start along with all the elements of online Cannabis delivery. Single stores can get the CBD POS Software and start taking the online orders so that their customers can enjoy shopping from home. Sizable enterprises and chains might be facing the challenge of sufficient business management, that can be solved with Cannabis POS Solution. Our easy delivery flow ensures that the customers get the required item in the seamless way and doorstep delivery in a short while. The Cannabis POS Software designed and developed by us is not only just user-friendly but it is delivery friendly as well. The deliveries can be managed in the easiest way by the delivery service providers from their profile into a dedicated delivery app. The stores, on the other hand, can receive and manage the orders from the store panel or store app along with all its details. 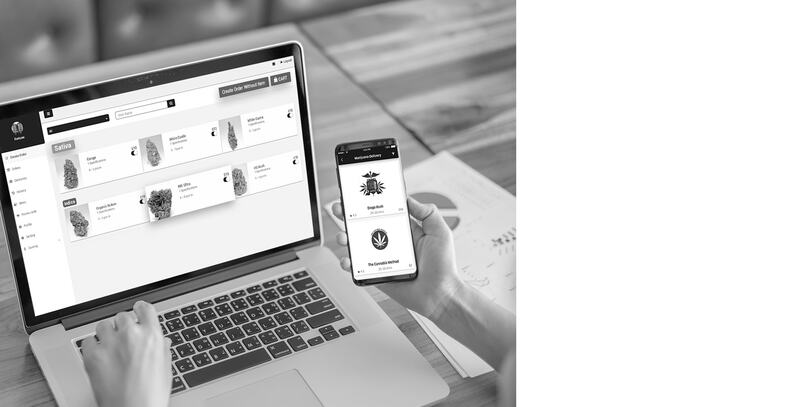 The sleek and quick customer app of our Cannabis Point of scale Software enables the customers to order any medicinal or legal Cannabis from the app in the easiest way. The customers can explore the required item in different categories and subcategories and place the order for multiple items from multiple stores at the same time. They can also save the delivery location and add the favorite items on the favorite list. They can even check the order history as well. 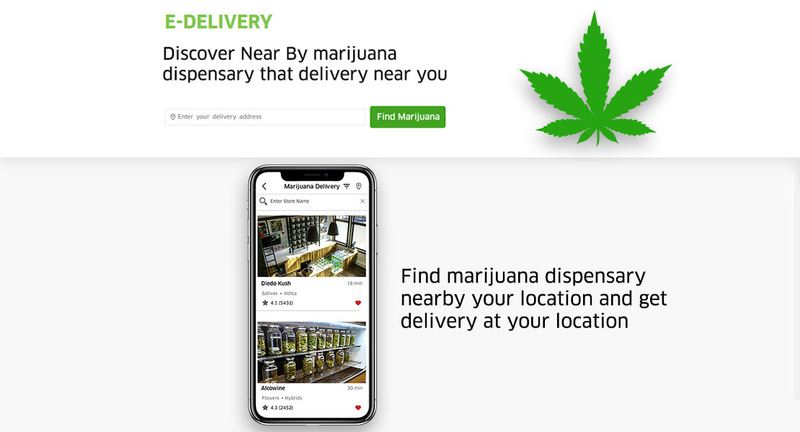 The provider app makes the delivery task very easy for the delivery service providers of Cannabis POS Software who are taking the responsibility of doing deliveries. The ultra-modern features attached to the provider app helps them to do that. They can go for the route-optimization from where they can get the most optimistic path to the customer`s destination so that resources and time can be saved and the customer can enjoy a quick delivery experience. The stores would receive all the orders into the store app from where they can handle each order separately. Our Cannabis POS Software takes care of operating each business task. The stores can generate and check the order invoice from the store app along with all the necessary details. There are some features included in the store app from where the stores can do marketing and also secure their side from making any loss from the business perspective. 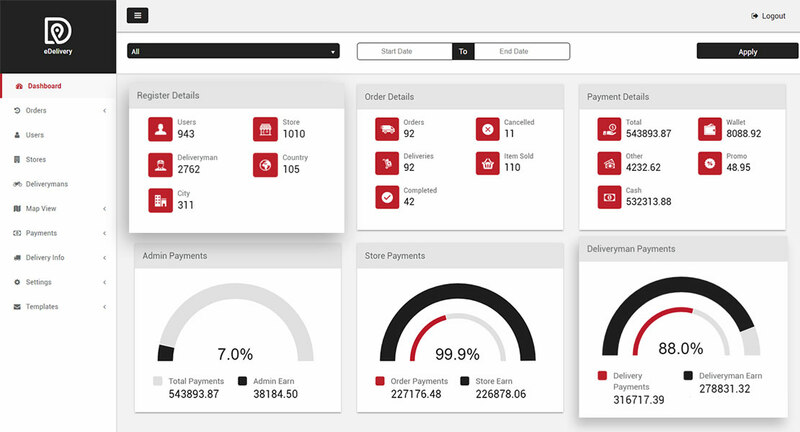 The store panel facilitates the stores to manage every business tasks from a big screen. The stores can manage everyday tasks on a big touchscreen device while working. All the features that the store gets in the app remain the same in the store panel so there is nothing that even creates any confusion between these two store oriented elements. Order and delivery management becomes easy with the help of such ultra-modern business approaches. The customer panel of our Cannabis POS Software is another way from where the customers can order the required legal or medicinal Cannabis. The features of the customer panel are really enjoyable as everything would be accessible from a big screen. The additional thing in customer panel is, the customers can check everything in a detailed manner and dig deep into everything. The facilities of the app wouldn’t be compromised if the customer is using the panel to place the order. The admin panel of the is the heart of the whole Cannabis POS Software. From the admin panel, the business owner can operate, handle and manage all the business related tasks. They can keep an eye on every activity going on, keep track of delivery service providers and manage the app and panel settings according to the business policies. On the other hand, the admin can do marketing by sending the SMS, push notifications and emails to the customers. We embrace the way of software development that suits perfectly for Marijuana Point Of Sales Software. All the business needs of yours can be fulfilled by including all the features of your choice into the software. 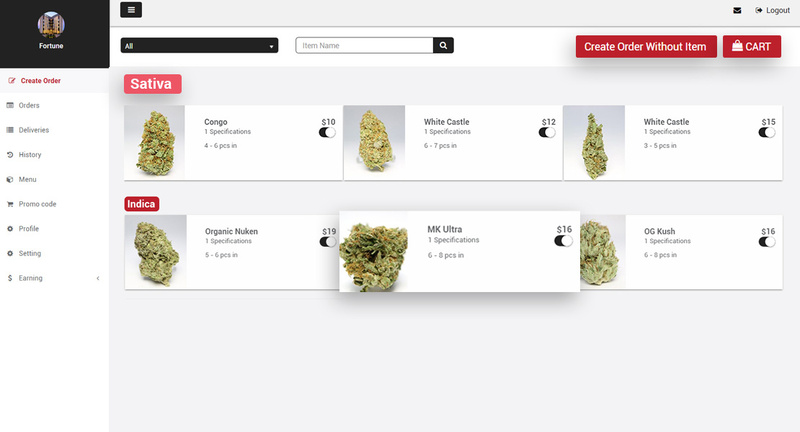 Customization and flexibility are some of the identical elements of our Cannabis Point Of Sales Software development approach. We always prefer to develop the software with the latest development technology that does not only helps to keep everything up to date but it also helps to upgrade with all the trends. Have a look at our development approach and know how exactly we shape your dream software. Conceptual understanding remains as the first step towards the development of Cannabis POS according to your requirements. After understanding the concept, the second step is of requirement gathering and analysis so that we can know what to include in the software. As the analysis and requirement gathering gets completed, our designers would start working on setting the theme and logo of your software. Developers would add all the required features of your choice and add-ons that you have demanded to include into Marijuana POS. Our testers examine the software 360° so that any of the issues can be resolved before the launch that might create problems after launch. The software would be launch by us so that you do not need to deal with the complexities of software launch and other relevant stuff. Are You Thinking About The Pricing Of MJJ POS Software?